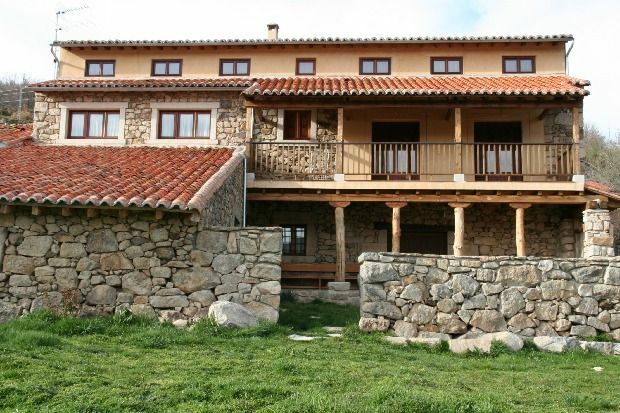 Set in the heart of the Sierra de Gredos Regional Park we find this lovely, comfortable and friendly rural accommodation, the ideal place for travellers to spend an unforgettable stay. This is the result of the careful restoration work carried out on a 19th-century building which was once used for agriculture and cattle farming, a restoration which has been made using traditional means and the original materials of the area such as stone and wood, eventually managing to recover the typical rustic and rural atmosphere of these mountainous lands. The two apartments are equipped with all the necessary comforts and services for the traveller such as: heating, hot water, television, complete bathrooms, comfortable and pleasant lounges, delightful comfortable rooms, fully equipped kitchens (a fridge, microwave, electric oven, cooking hob, washing machine, food mixer, coffee maker, and other necessary kitchen utensils). As well as the apartments, and taking into consideration the well-being of our guests, there is a spacious, comfortable and pleasant leisure area for you to spend some delightful moments. We offer our guests quality, information and a friendly service, good parking facilities and free firewood for the fireplace, all this surrounded by a natural environment of unbeatable beauty. - Hot water - Complete bathrooms - Comfortable and pleasant lounges - Lovely comfortable double rooms - Fully equipped kitchens (fridge, microwave, electric oven, cooking hob, washing machine, food mixer, coffee machine, toaster and other kitchen utensils) - Bed linen and towels, tablecloths and tea towels, cleaning products. Services: - Leisure area - Mycology routes with qualified guides - Natural swimming areas in crystalline waters - Spa, close to the accommodation where you can enjoy the Jacuzzi, thermal baths, saunas, etc.